Security of personal data and information is always in danger when someone use your Smartphone. There are many dangers through them your data can be handover to some unknown person through Hacking or steal of your phone. If your phone is lost and any unwanted person get it, he may get all your personal and confidential data which are saved in your phone memory and SD card and he may misuse that data. To avoid this danger a new option Kill Switch is introduced. In America soon it will become a rule for all smartphone makers that they have to set this kill switch for security purpose. A new rule is going to enforce in America. 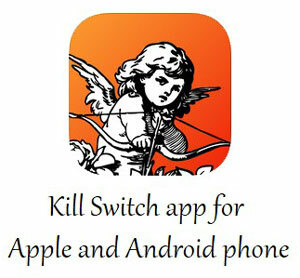 According to it all smartphone makers have to set Kill Switch in their smartphones. This rule will be in practice in 2015, according to in every phone this kill switch feature will be essential. For this Apple, Samsung and other smartphone companies have to design their device according this feature. This is a very special feature in smartphones. If there is kill switch feature in your phone, then if anybody tries to open your mobile without your permission, all data, contacts and software which are saved in your mobile will itself removed from your phone. After that your mobile will become only plastic box. It can be call a suicide feature for a phone. After this feature access in your phone and all data deleted phone will not even start. So Kill switch will secure all your personal info, contents, images etc. and avoid the danger of misuse of your data by a wrong person.